I Need To Service My Car. Where Should I Go? Getting your car serviced is an inevitable requirement if you want to be sure that it will keep running reliably. Think about it in terms of your own health; if you put the right things in food-wise, and do other beneficial things such as getting regular exercise, and getting any signs of things going wrong checked out by your GP, you’re far less likely to suffer from a wide variety of conditions and symptoms. Your car works in broadly the same way, and will also benefit similarly from some simple steps to look after it. Keep it filled with the right fuel, lubricate it (with oil), and get it occasionally looked at by an expert - e.g. a trained and experienced mechanic - and it will reward you with long periods of faithful service which will make you realise just how important it is to your life. But while most of us know where our first port of call would be if we had a problem with our own health - probably, in most cases, the aforementioned family doctor - the advent of a massive choice of garages and experts in car maintenance setting up shop along our main roads and back streets has led to a wide, and sometimes bewildering, range of options for where to turn to when we need our car servicing. In this article, we’ll make things simple. We’ll outline the four main types of establishments which offer car servicing, and show some of the most important benefits of each one. So when the time comes for your car to get its regular service, you know the main differences between each one, and can choose the option which best suits your needs. All the big car manufacturers operate a network of selected partners with whom they set up in business in as many locations as they feel are appropriate for their needs across the UK. Through this franchise model, they control who represents their interests in any particular area, as well as lots of other important aspects of how their products and services are marketed and sold. That’s why you can travel from one town to another, and the garage selling a particular make of cars will often look almost identical to the one in the next place. When it comes to servicing your car, these franchised dealers recruit and train their own mechanics and workshop staff to their own standards, often setting up bespoke training and professional development programmes, so that those staff are encouraged to pick up all the knowledge they need to do their jobs effectively. Usually, these dealers’ workshops will also be equipped from top to bottom with all the machinery and tools specified by the manufacturer they represent, which might even mirror that found in the original factory. They will probably even set down standards for how the workshop premises are laid out and maintained. Additionally, as a customer, you might also benefit from enhanced levels of consumer protection as provided by the National Franchised Dealers’ Association. Such dealers may also, through the NFDA, offer a range of service plans which offer a package of scheduled services at a discount over the price when each service is paid for individually. MAIN BENEFITS: if you own a car of a make which they represent, you should find that the staff have extensive knowledge of that model. They’ll also have all the gear they need to fix most problems to hand. A growing number of operators, having spent often many years specialising in a particular make of car - often working for one of the franchised operations (above) - are setting up their own businesses. Their main objectives may be varied, but prime among these could be that they are looking to plug a gap in the geographical coverage offered by the manufacturer, or simply, that they want to be their own boss. As setting up a car repair business from scratch requires a massive investment, these operators often seek support from more than one manufacturer, and so specialise in multiple brands. Legislation known as a ‘block exemption’, dating from 2008, led to a rash of such operations springing up. Essentially, it now means that, in order to comply with the terms of your car’s manufacturer’s warranty, you don’t necessarily need to have any repairs to or replacement of parts covered done by a franchised dealer. 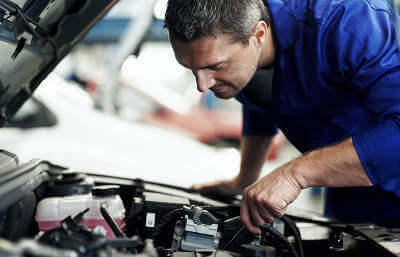 The work does, though, still have to be to a high standard, but it does give you more freedom to choose where you take your car for repairs under warranty - provided your manufacturer recognises the garage involved as a specialist in repairing its cars, you should still be able to claim the cost of the warrantied repair back from the manufacturer. MAIN BENEFITS: You’ll often get the depth of knowledge which you’d expect from a main dealer, but because such operators are on a smaller scale, they don’t have the same level of overheads of their franchised counterparts, so can usually offer a similar level of service for a lower price. The question is whether there is such an operation in your area, and they can often be more difficult to find because they don’t advertise themselves anywhere near as widely as the main dealers. These range in size and scale from the small ‘back-street’ type operators who offer to repair and maintain most car makes to larger concerns which often offer repairs and maintenance of cars as a sideline to their main operations which may centre around keeping a fleet of vehicles operational which are part of their main business. Some councils can be included in this, as they sometimes open their workshops to the public, and may also offer MoT testing facilities. This kind of operation is how many now much bigger motor traders and repairers started in business, and they rely heavily on word of mouth for spreading awareness of their work, because they are unlikely to have the budget or the time to get involved in marketing themselves. You might find that some of these operators will not have access to sources of factory-made and supplied spare parts, but instead they will use other ‘aftermarket’ suppliers, which offer compatible parts which are not, however, manufactured by either the company which made your car, or one of its own suppliers. So to some degree, you are relying on their knowledge of your make and model of vehicle to satisfy yourself that you will get the right part for the job. For this reason, you might not get the benefit of a warranty on any replacement parts which are fitted. There are a number of trade bodies which aim to ensure that high standards are maintained among such types of operations - one of the main ones to look out for is the Independent Garage Association. This body is run by the Retail Motor Industry Federation, and offers its members benefits such as a list of approved trade suppliers, along with access to technical help and advice on specific repair issues. MAIN BENEFITS: These garages are usually owned by the people who work in them - so you nearly always have access to the person in charge if you need to raise any issues with them, or want to give them any specific instructions. If you find one which has a good reputation in your local area, you should also find that, again, labour costs will be lower than those charged by a main dealer, for the same reason as with the individual brand specialists above. These businesses are usually national chains whose main business is supplying and fitting a range of consumable parts, such as tyres, exhausts and batteries. However, increasing numbers of these have branched out into offering servicing for the most popular makes of car. Because most servicing is done by a ‘menu’ system, it can be quite easy for such businesses to get access to the list of main tasks which manufacturers specify should be carried out under their regular servicing schedule, and so ensure that the work they carry out complies with the main requirements of the manufacturer for warranty purposes. You will usually find that much servicing will be offered at a fixed price. This will be perfectly adequate if no issues arise with your car while it is being checked. MAIN BENEFITS: If you have one of these operations convenient to where you live, you’ll find that they will be good at replacing all the main items on your car which need to be changed regularly, and carrying out all routine operations - and they will usually give you a firm quote so you know how much you can expect to pay. What If My Car Is Under The Manufacturer’s Warranty? We’ve already alluded to the fact that you have more freedom to choose where you get your car serviced and repaired than was once the case. But if your car is being repaired under warranty, the manufacturer has a direct interest in making sure that the work needed is carried out to the highest standards - which is why their first resort will usually be to refer you to one of their franchised representatives. However, you don’t necessarily have to accept their suggestion. The block exemption laws mentioned earlier give you the option to choose a reputable independent garage over a franchised dealer’s workshop if you wish - but you may still need to have to work examined by the manufacturer before it will be prepared to meet its cost under the terms of your warranty. This does mean, however, that you have more options, so can choose a cheaper quote for the work than that offered by a main dealer should you wish. Essentially, you now have a wider choice of where to get your car serviced than ever. That’s why we launched our service at MyCarNeedsA.com - because we knew that people were becoming spoilt for choice, and wanted to be able to use the power given them by this choice to drive the best possible deal for them. But sometimes it can be difficult knowing where to start - especially if you’re new to an area, or happen to have a wide choice of all the types of garage we listed above near to you. Of course, you don’t have the time to contact them all individually and wait for them to come back to you with a quote for your repair job or service - so when you use MyCarNeedsA.com, you only need to fill in one request form, and our trusted garages will get in touch with you directly, either to find out more or supply you with a firm quote. With MyCarNeedsA.com, you’re in the driving seat, and can exercise the full power of choice. It takes just a few minutes to register with MyCarNeedsA.com, then you can start posting requests for any job on your car, whether it’s routine servicing or an MoT test, or more thorough and complex repairs. You then choose the quote which is right for you, and can use our own customers’ reviews to guide you. What Oil Does My Car Need?